This letter was sent to 24 households in Channelview and Highlands, advising them not to drink or cook with their well water until further tests could be conducted. 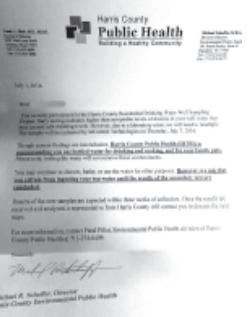 EAST HARRIS COUNTY – Some residents along the west and east banks of the San Jacinto River, near the Superfund Site, have had their well water tested by the Harris County Public Health Department. This is the first time that the county has been willing to participate in this type of general testing, although the San Jacinto River Coalition and others have been asking for tests for years, according to Jackie Young, president of the SJRC. The county tests came up with surprising and serious concerns with the content of 24 wells, according to Brenda Cabaniss, of the Public Health department. Samples were collected by InControl Technologies for the county. The lab results showed 24 of these 100 wells had dioxin in them, a carcinogen known to cause some types of cancers. However, the letter also states that “Due to a laboratory error, we will need to resample.” The type of error was not clear, either in the letter or in a conversation that this newspaper had with the Health Department. EMERGENCY PERSONNEL from the Sheriff’s office, Highlands Fire/EMS, and Houston Marine Unit search the San Jacinto River near Banana Bend for the 50 year old drowning victim last Sunday. HIGHLANDS – The San Jacinto River claimed two lives over the 4th of July holiday weekend, and a young child in Huffman almost became the third victim. 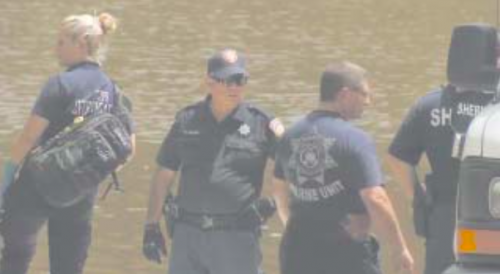 The drowning victims included a 50 year old man who walked into deep water at Banana Bend on Saturday, July 2nd; a 7 year old child that went under water at Love’s Marina and Park on old 90 near Crosby; and the near drowning of a 3 year old in Huffman. Dr. Angi Williams, Region 4 Superintendent of the Year. 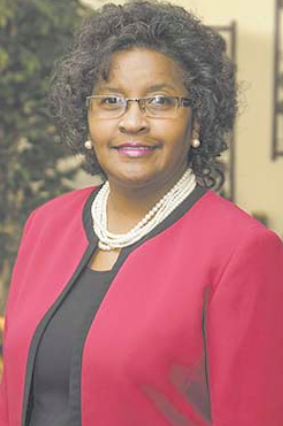 Dr. Angi Williams, Superintendent of Galena Park Independent School District, has been selected as the 2016 Region 4 Superintendent of the Year. The Region 4 Education Service Center serves a seven-county area composed of 50 public school districts and 41 open-enrollment charter schools, representing more than 1.1 million students, 91,000 educators, and 1,500 campuses. 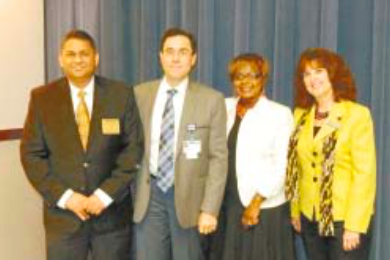 Dr. Juan Carlos Rozo, second from left, was the featured speaker at June’s chamber luncheon. He spoke on chronic venus insufficiency, his specialty. Also participating in the program were (L to R) Pravin Sonthalia, Lucia Bates, and Margie Buentello. The featured speaker at June’s Chamber luncheon was Dr. Jaun Carlos Rozo, of Cardiology Specialists of Houston. Dr. Rozo spoke about chronic venus insufficiency, which is about the lack of adequate blood flow in the lower legs, and problems that can lead to. He said that factors leading to this condition include family history, age over 50, and obesity. He uses ultrasound to diagnose the condition, and then treats it with one of four methods: laser therapy, sclerotherapy, RF procedure which is a catheter in the vein, or burning the vein, he said. The method depends upon the severity of the leg. There will be no luncheon in July, according to president Margie Buentello. The next program is on August 5, the speaker is Darrell Pile, CEO of Southeast Texas Regional Advisory Council. The chamber is also busy planning a Casino Night on August 12, from 7 pm to 11 pm, at the Jacinto City Town Center.